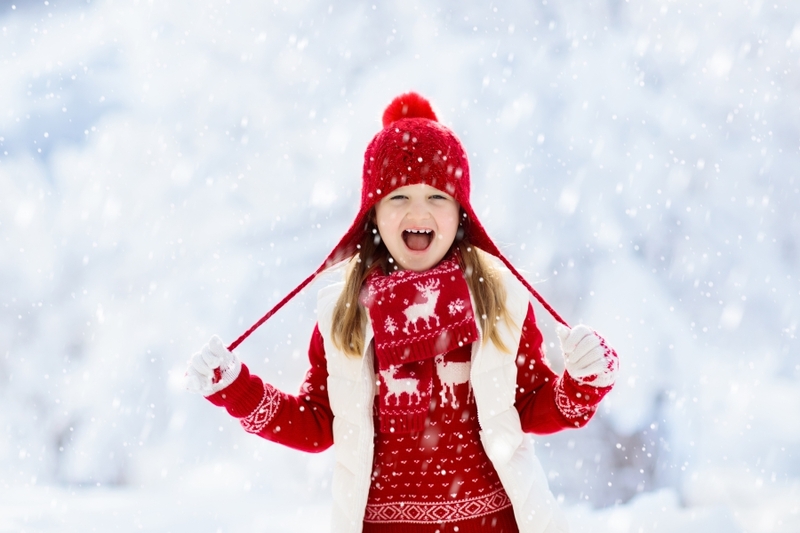 As the snow starts to fall across Ohio, you may be looking for fun winter activities to do this year. Rather than hibernating in front of the TV, watching your favorite soap operas, we encourage you to spend time outside, enjoying the white majestic snow that winter brings. Whether you want to take a day trip to the Boston Mills Brandywine Ski Resort, or you’d rather enjoy the bright lights of the Brite Winter Festival in Cleveland, there are many wonderful things to do in Ohio this winter. If you have young children, or you just love animals, consider visiting the Columbus Zoo in Columbus, Ohio this winter. Each year, the zoo opens its doors from late November to early January, putting on an incredible celebration of winter with millions of LED lights, animated light shows, Santa himself, and more. This year marks the 29th Wildlights season, so you can expect the zoo to transform into a magical winter wonderland. While you’re admiring the zoo lights, be sure to check out the rest of the zoo, as there are more than 10,000 animals and 600 species featured from around the world. If you live near Cleveland, Ohio, be sure to check out the Brite Winter Festival. With the goal of bringing joy to the Cleveland community through arts and music, the Brite Winter Festival is free and open to the public. From building snow forts to drinking Christmas ale and riding around on ski bikes, there’s always something fun to do at this unique winter festival. While hiking is a great family activity to do year-round, there’s nothing like a winter hike to get the blood pumping. Ohio offers a lovely array of hiking trails and parks from which to choose. If you want to take an all-day hike, consider visiting Summit Metro Parks. With more than 125 miles of hiking trails, you can spend countless hours in this popular park. Nothing says winter like speeding down a snow hill on a sled or tube. 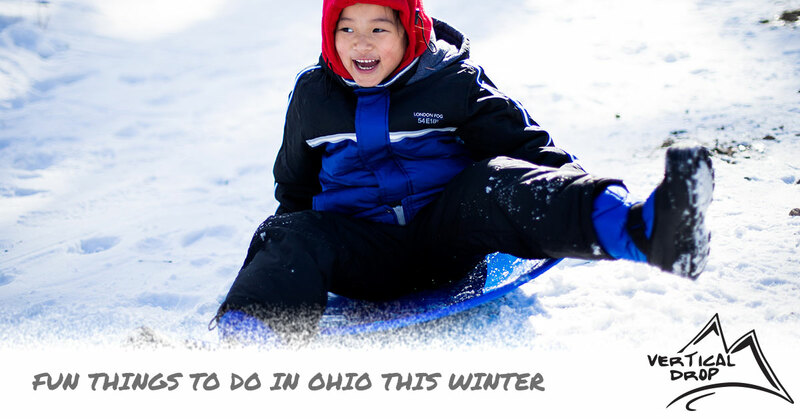 Ohio boasts a large array of sledding hills and park areas where you can bring the kids. The Brandywine Ski Resort and Alpine Valley Ski Resort are popular spots to go snow tubing. They even offer tubing lanes and walk-on conveyor lifts to make your experience comfortable. Take the kids back in time by visiting the Dickens Victorian Village in Cambridge, Ohio. You’ll feel like you’ve been transported back to the late 1800s as you walk around the charming and historic downtown of Cambridge. From November to December each year, residents and visitors are invited to admire more than 92 scenes and 180 life-like figurines that represent classic scenes from the Victorian era. You’ll see engaging depictions of classic Dickens-era scenes, with figures like Tiny Tim and groups of carolers. Looking for the best indoor skating in Columbus, Ohio? Chiller Ice Rinks is the place to be. Bring the whole family to enjoy an afternoon of family skating, or book the rink for a special occasion like a birthday party or graduation party. They offer public ice skating, group skating, hockey lessons, and more. Chiller Ice Rinks has five convenient locations in Columbus, Dublin, Lewis Center, Worthington, and Easton, so you’re sure to find one close to home. The Christmas Ranch’s mission is to celebrate the spirit and joy of the holiday season while also benefiting charitable organizations whose primary focus is on helping kids. Rather than having to travel all the way to the North Pole, the Ranch brings the North Pole to Morrow, Ohio. Witness over a million Christmas lights, various Christmas-themed shops, and even Santa Claus himself. Whether you’ve read the book or seen the movie, THE POLAR EXPRESS™ train ride is one of the best ways to celebrate the holiday season. From November 10th to December 21st, you and your family can board the train for a fun-filled evening excursion that includes hot cocoa and delicious cookies. When the train pulls into the North Pole Village, you’ll be greeted by caroling elves and even Santa. Situated in Southwestern Ohio and overlooking the Great Miami River is the Pyramid Hill Sculpture Park & Museum. This enormous 265-acre sculpture park and outdoor museum highlights monumental pieces of sculpture in a picturesque environment of forests, gardens, and meadows. During the winter months, you and the family will get to enjoy dozens of ice displays and over one million animated Christmas lights. If you’re a fan of cross-country skiing, you’ll want to spend a day or two at the Cuyahoga Valley National Park. With nine trails specifically for cross-country skiing and snowshoeing, you can take the family out from December 22nd through February 29th. As you can see, there are many fun activities and events to partake in this winter in Ohio. If you’re looking for a ski or snowboard shop in Loveland or Zanesfield, be sure to stop by Vertical Drop & Ski today. We carry a wonderful collection of skis, snowboards, and winter accessories to keep you warm and comfortable outdoors. If you have any questions about our winter apparel and accessories, contact us today.